Webcast over, on to Naga Puja, which is now in the evening as circumstances gave me that opportunity. The Daily Practice book was mentioned on another thread and it is always a good one to go back to as a reminder that a couple of hours of rituals and the other 22 hours distracted is not much use. So, doing my best to relax and integrate, including at night. Some well-meaning words around on the web, but please don't take them to mean you should not feel upset or a range of other emotions. 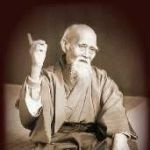 It is not a failure, and helps us remember about daily practice and working with the circumstances. The Webcast worked for you? And it was till now? Not all, but the last part worked fine. It finished on time, and as it is now a 'Naga Positive' day I decided that would be a good way to continue. Sorry, didn't mean to imply it had just finished, just that now I am going on to Naga Puja, a little reminder in case anyone else fancied doing so. Earlier in the thread it was reported that Shitro is being performed. Does anyone know which Shitro is being performed and by whom? Shitro when a Master dies?!? They switched to Ganapuja soon. The Shitro is almost certainly Namcho, I don't recall another one (well there's Changchub Dorje's I guess but in Collective Practices it's Namcho). Which is the one related to Yangti? I recall a transmission in 2014 but don't remember which one. Especially when the master is still alive. Well, that's what his students here told me. They stated they will be doing a Zhitro for him(I think it was Anuyoga) and the Guru Yoga Ah. The webcast cut in and out for me, but reloading helps and is recommended by the webcast team. I greatly appreciated the opportunity for a collective ganapuja since there are no sangha members near me. Everything I have heard is that we should do guru yoga and ganapuja, rather than Xitro. Can a senior student answer: could rinpoche's present illness be due to samaya breakages of his disciples? Yes, in one of his books he specifically says this is wrong. For those of us who can't make it to a ganapuja, is the medium thun the equivalent? We should follow Rinpoches advice. I agree, and IMO the advice was pretty clear. Shitro in this case is for purify our -we student's-samaya, not for the Buda. ChNN is perfectly fine, he can take care of himself. it is better to do ganapuya, and behave. The Guru Yoga here is ChNNR's usage - being in the state of natural awareness. This is what is called for when anyone is dying. If you are distracted, then Shitro, or other practices as the DC websites suggest are fine. "once you helped me - now I can help you..."
I believe it's because it contains the most practices for purifying samaya of any DC sadhana. 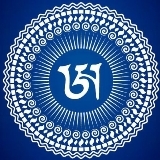 The Ganapuja itself and also the 100-syllable Vajrasattva mantra. In the webcast from Merigar today, they did many repetitions of the brief Ganapuja text "RAM YAM KHAM OM Ā HŪM . . ." and of the Vajrasattva mantra.